‘Offspring 2007′ was De Ateliers’ graduation show of that year. The 11 graduating artists saw it as an exhibition comprising 11 solo shows. 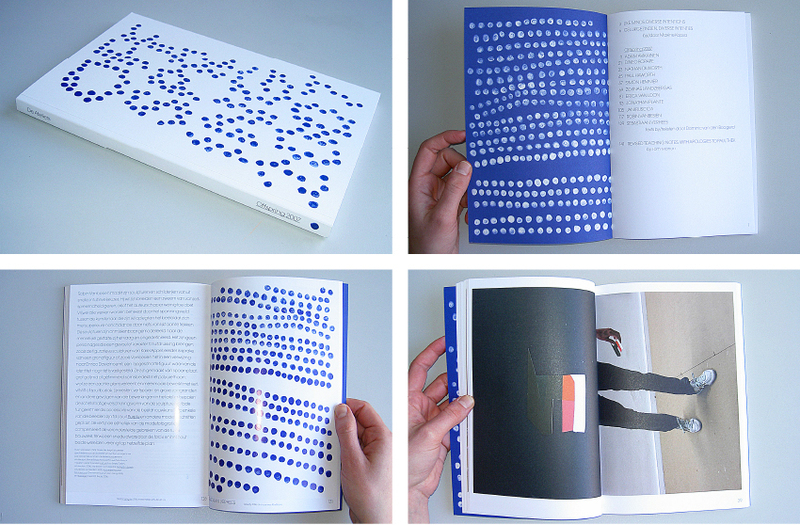 I therefore chose to divide the exhibition catalogue into 11 distinct sections – one chapter per artist. 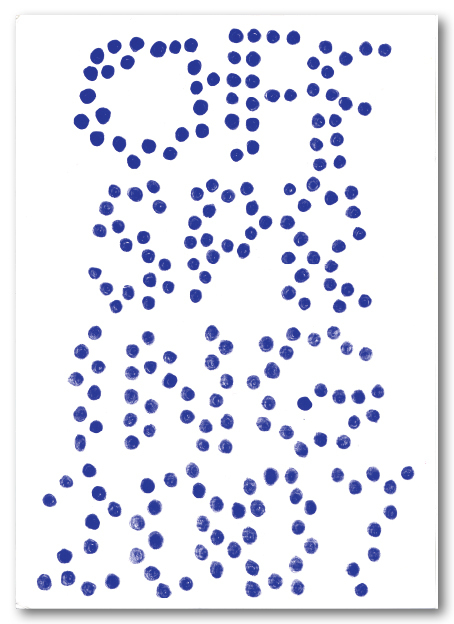 Each chapter is bookended by pages reproducing series of dots I drew by hand, a motif I used for the cover as well as for the exhibition typography. 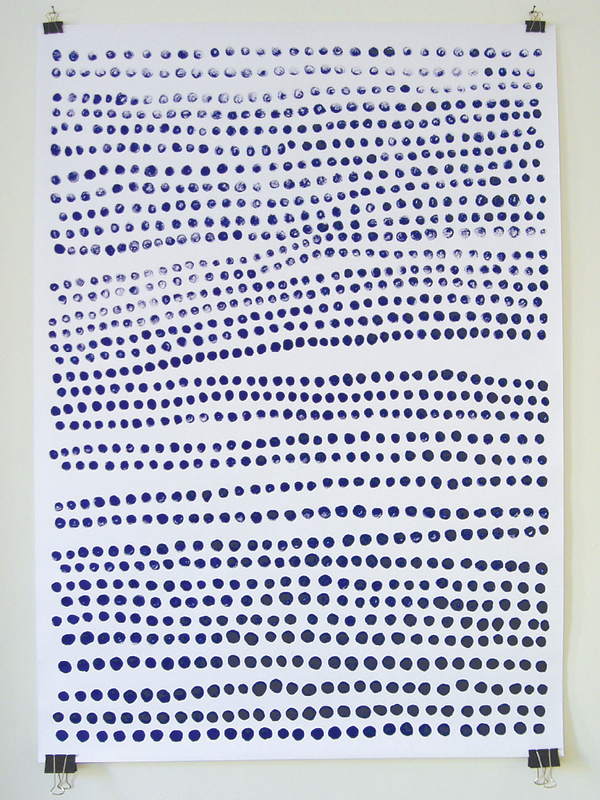 In addition, I silk-screened an autonomous print made up of these dark blue dots. I still have a few copies of the poster for sale for €20 – please email me (kw null@null karenwilley NULL.nl) if you are interested.